“The moving cause of our justification is God’s love. The efficient cause of our justification is the Holy Spirit–who takes the things of Jesus, and shows them unto us. 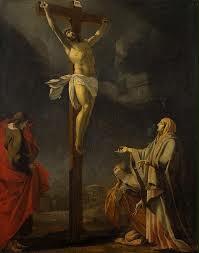 The meritorious cause of our justification is the death of Jesus Christ. The instrumental cause of our justification on God’s part, is the word of god. It does what He commands. (Which is to confess our sins and receive Jesus Christ as Lord). It trusts in and rests on His promises. (By this faith we have met the condition for justification and have established a right relationship with God). Thus we are only justified by God's gracious act of pardon. It is a gift for all who meet the condition to receive it, and not reserved for any special class of men. (Romans 3:22-23) It is a gift given freely and without any merit or cause. It gives us peace and access to God (Romans 5:1,2), and is proof of God's love for us (Romans 5:6-8). We have died to sin and thus cannot continue sinning. (Romans 6:2) The immediate, or initial act of sanctification is where God declares us to be sanctified wholly, or in other words declared holy, and then empowers us to actually be holy. This “empowerment” is a freedom from the power of sin. (Romans 6:9,10). This, of course, requires of us obedience to His Truth. This word reckon means “to take account of what actually is.” The importance of this cannot be overstated, as according to God's Word we are really, substantively dead to sin. It is not theory or simply poetic language, but a statement of fact. The differences between justification and sanctification are simple. In justification we are declared righteous, while in sanctification we are made righteous.